Attorney-Client Relationship - The materials provided on this website are intended for informational purposes only. These materials are not intended and should not be interpreted or considered legal advice. The information provided by this site is not an invitation to an attorney-client relationship. A reader of this site should not rely on the information provided here for any purpose. Readers are reminded to always seek legal advice from an attorney duly licensed in an appropriate jurisdiction. Additionally, any communication via e-mail, phone, or other form, are not intended to solicit or create, and does not create, an attorney-client relationship between this firm and any third party. Contact Through This Site - This site has a location that you can contact the McGrath Law Firm without the use of traditional e-mail or phone, and is labeled "contact us now." The McGrath Law Firm can not assure the security and confidentiality of information transmitted via this feature. Vistors are to use this feature at their own risk. 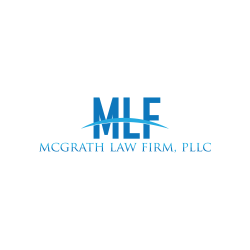 Bar Membership - The McGrath Law Firm is only licensed to practice law in the State of New York and the United States District Court, Western District. Again, this website is for informational purposes only, and does not constitute practicing law. Jurisdiction - By accessing this Web site, you agree that any disputes or matters arising out of or related to your viewing or use of this site shall be governed under the laws of the State of New York without regard to the conflict of laws. Legal Warranty - This website provides general information and may not reflect all current legal developments. You should not take action based on the information provided by this website. The law is ever changing, and facts and circumstances are critical to assessing a legal claim; therefore, information provided by this site may not be applicable to your particular situation, and should not be perceived as legal advice or opinion. Provided Links - The links provided on this site do not constitute endorsement of the linked entities. All links are provided merely as a convenience for the reader. The links are to be accessed at the user's own risk, and the authors of this web site make no representations or warranties about the content of these links. Indemnification - By accessing this site, you agree to indemnify and hold harmless the McGrath Law Firm and its members and employees, from and against any and all loss, costs, expenses (including reasonable attorneys' fees and expenses), claims, damages and liabilities related to or associated with your use of the web site and any violation of these Terms and Conditions by you. Changes - The McGrath Law Firm retains the right to change the terms of this disclaimer at any time and without written notice to users. Such changes will become effective upon publication of new terms on this domain.